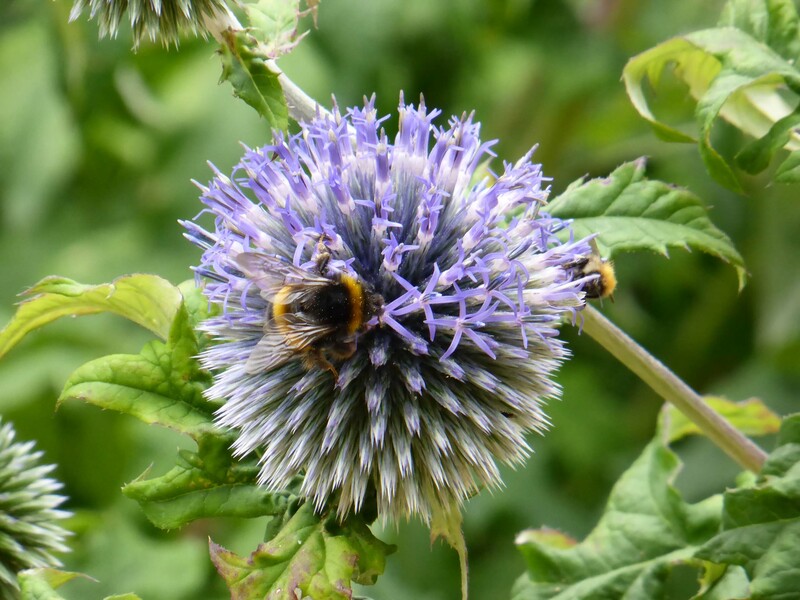 …or not two bees? That is the question. So I hope no-one was standing underneath that. More information and a more traditional photo here. The curse goes on, in a trivial sort of way. Now I can’t get the tune to Creeque Alley – relevant only homophonically – out of my head. 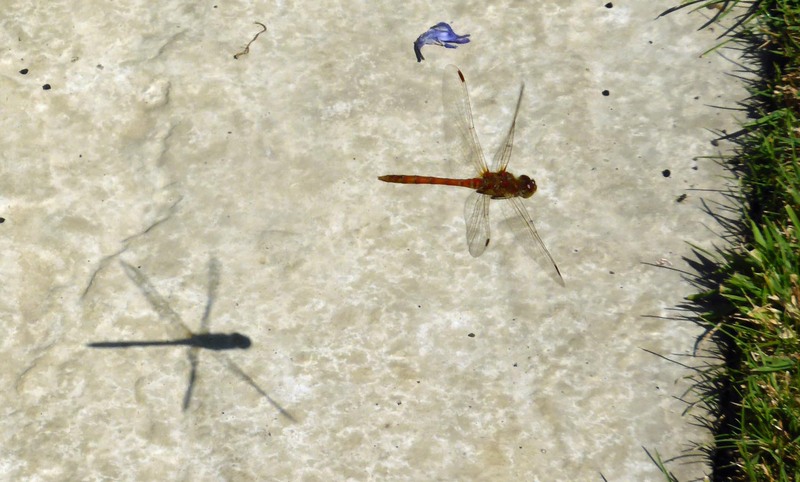 Contour chasing dragonfly and shadow at Hindringham Hall. 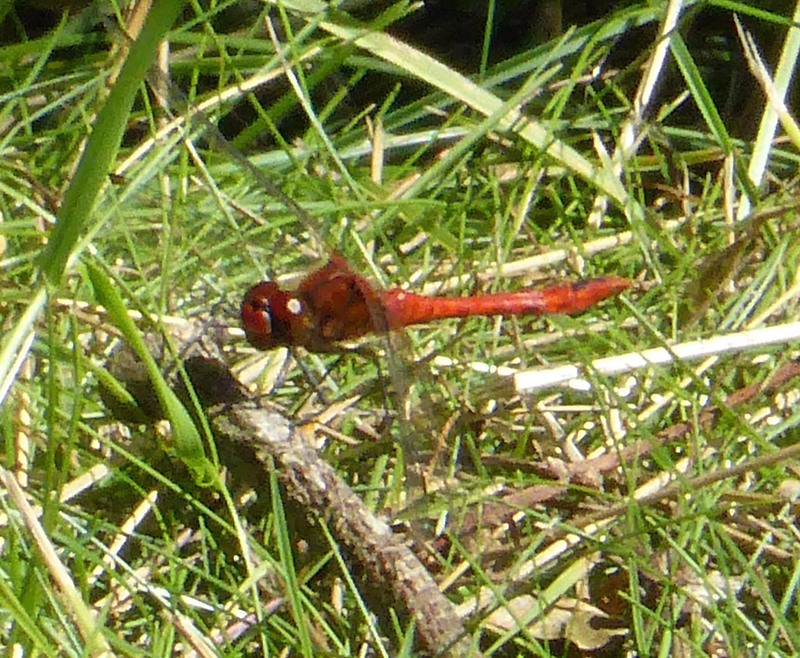 At least, I think it’s a dragonfly: comparatively stout body and eyes close together. 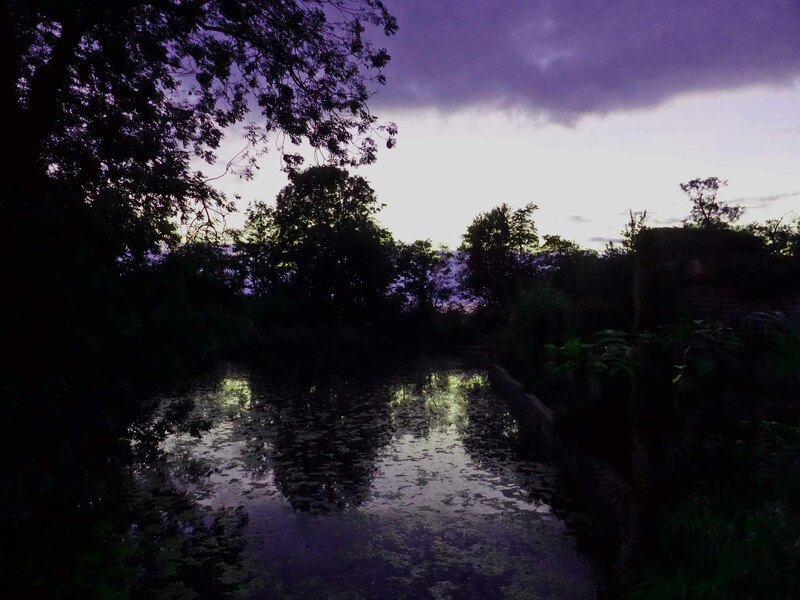 Taken with a compact camera, not so great for this sort of shot. 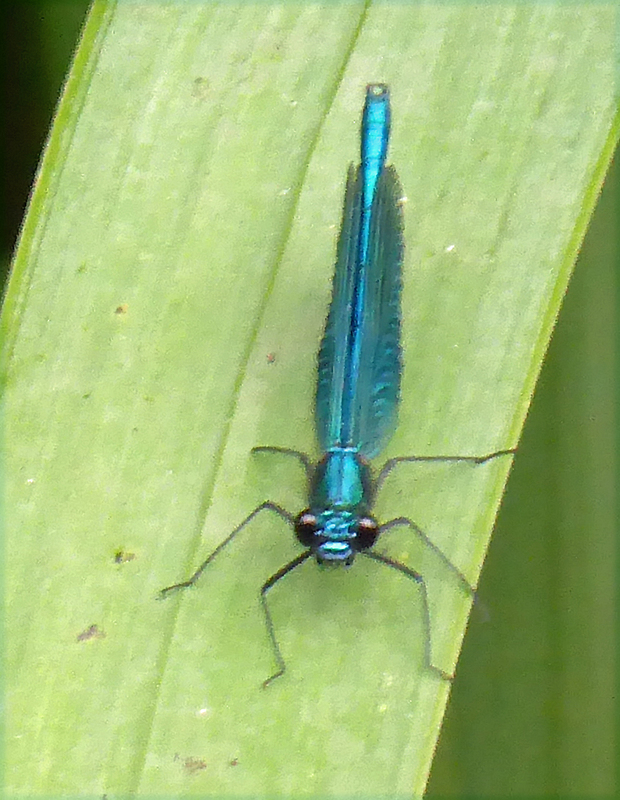 Eyes well apart, wings folded lengthways, and characteristic electric blue. 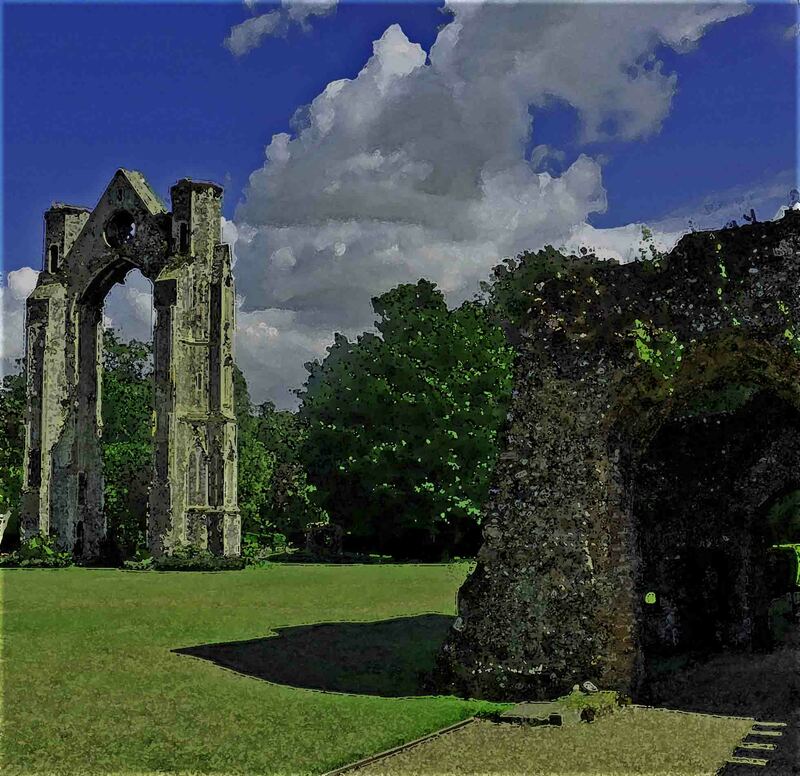 In 1061 the Virgin Mary appeared in a vision to Richeldis de Faverches in Walsingham, who built a shrine there: her son Geoffrey initiated the building of the Priory, for which the responsibility passed to the Canons Regular in the 12th century. 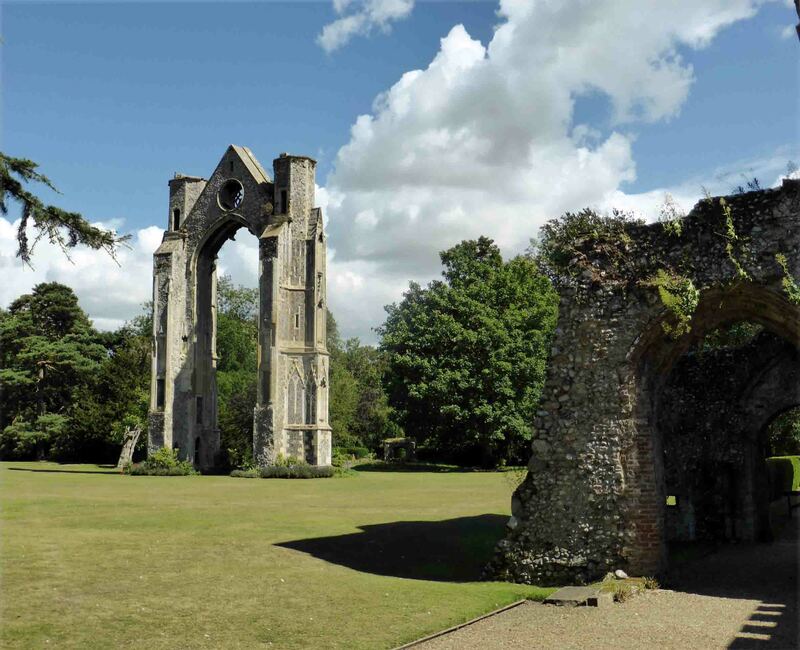 Henry VIII was the last of many English kings to visit the shrine, but that didn’t prevent him from having the Priory dismantled in 1538. And, on a whim, a version run through Photoshop’s watercolour filter. 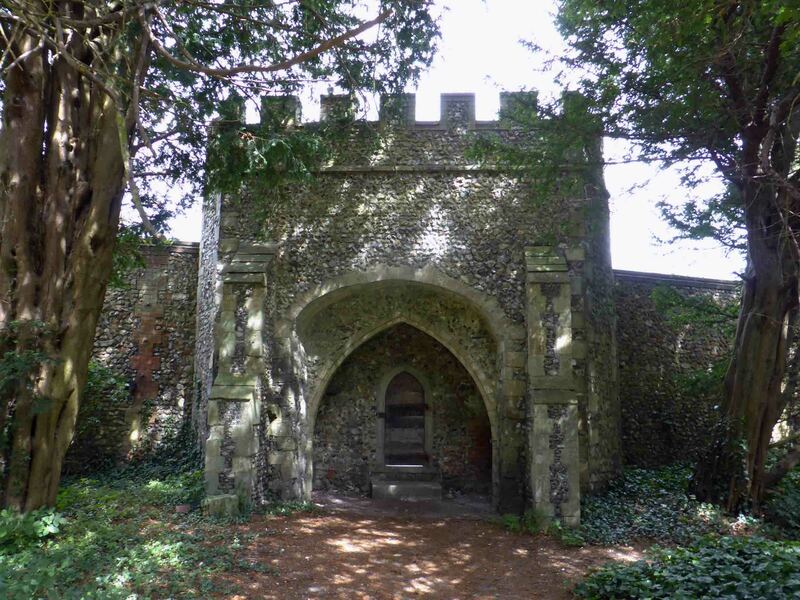 The story goes that in 1314 Sir Raaf Boutetout was trying to escape from his enemies, and (understandably) praying to Our Lady of Walsingham for deliverance. 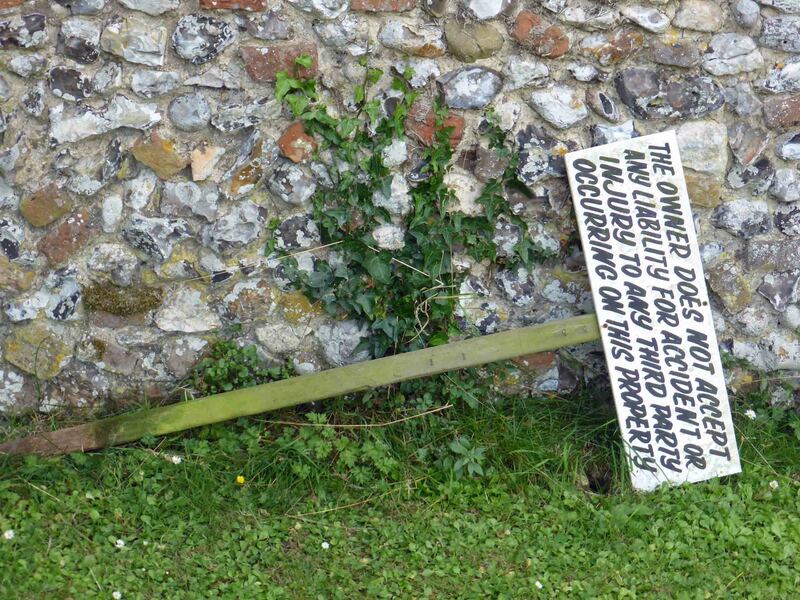 Suddenly he found that he’d miraculously passed through this tiny wicket gate into the grounds of the Priory, where he was given sanctuary. Actually, this gate is a replacement, not the original. But it is pretty small. If there’s any truth in the story, then (miracles excepted) either the original gate was bigger or he was a very short knight riding a Shetland pony. 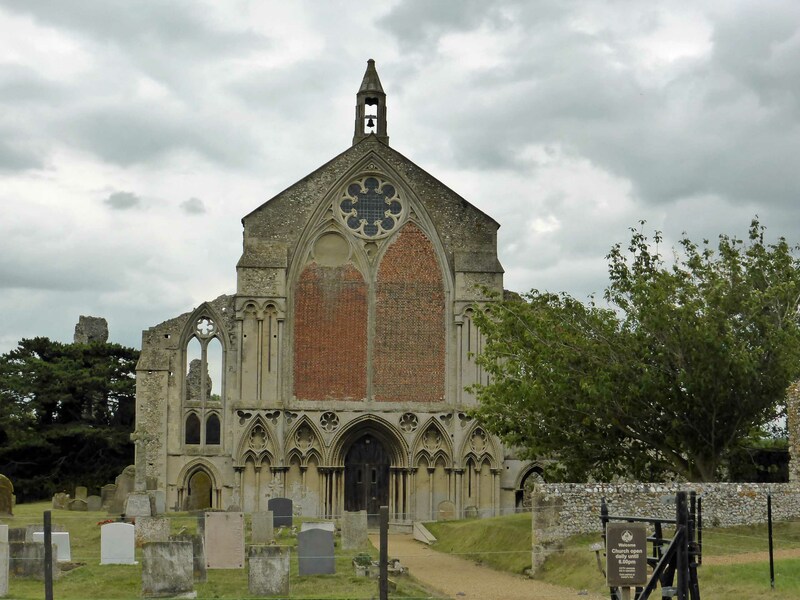 When the Priory was sold off at the time of the Dissolution, the church remained largely intact and has remained in use as the Parish Church to the present day. 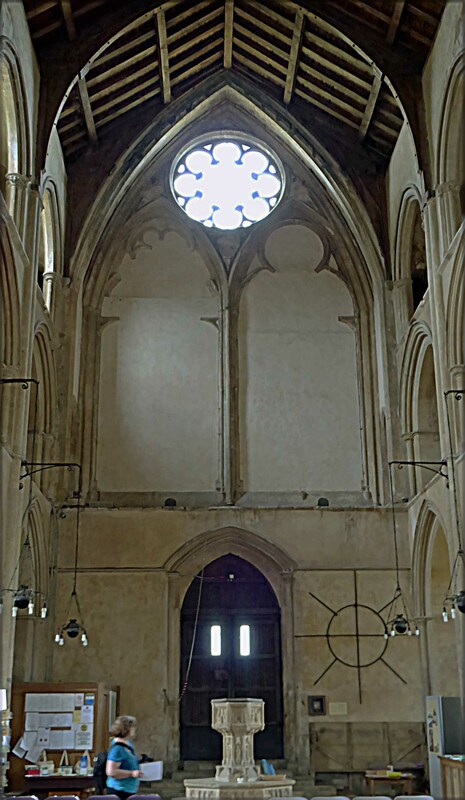 The West Window is the earliest (more or less surviving) example of bar tracery in England (1227-1244). The structure began to fail in the 18th century and was bricked in in 1809, in order to strengthen it. 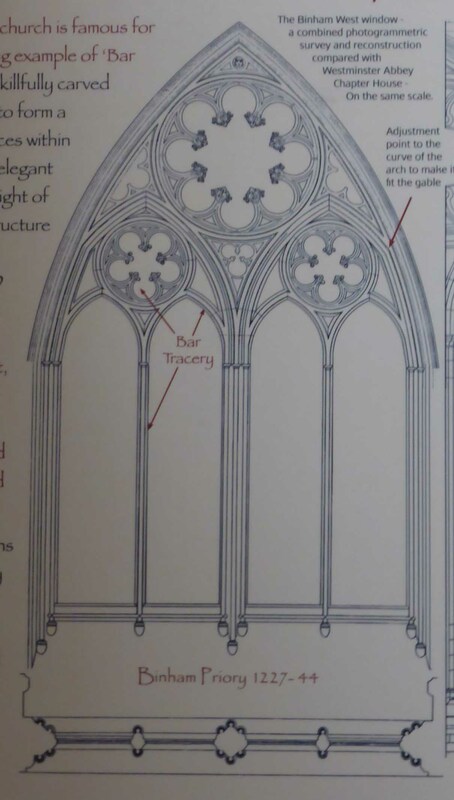 When the Priory was excavated in the 1930s, a great deal of stained glass was found, which invites speculation as to how the West Window might have looked originally with the light flooding in through it. The above detail from a board found in the church at least shows what the tracery might originally have looked like. Sadly, the interior could really use some of that light.